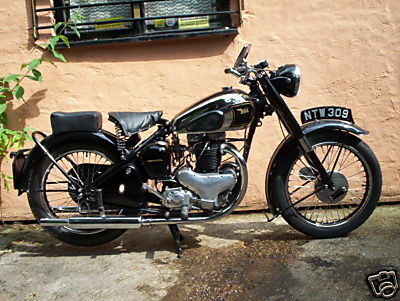 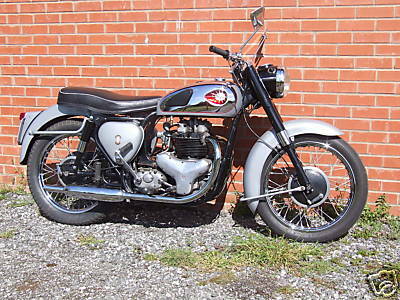 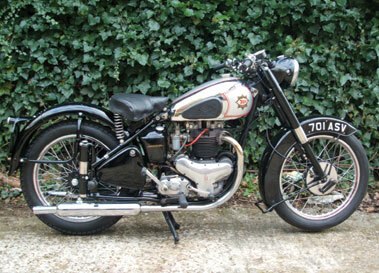 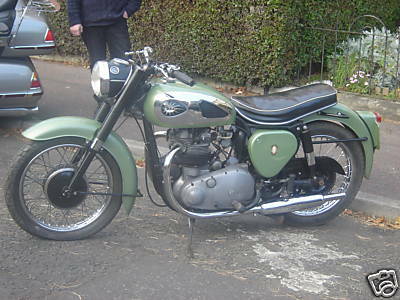 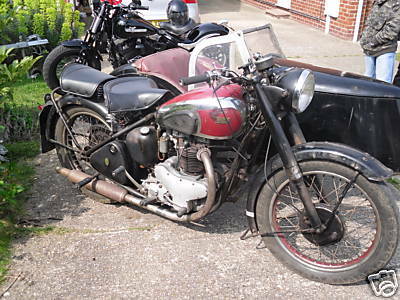 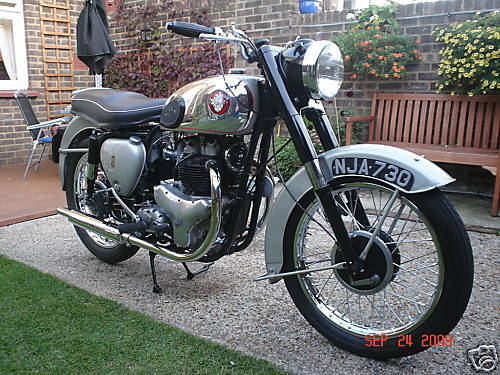 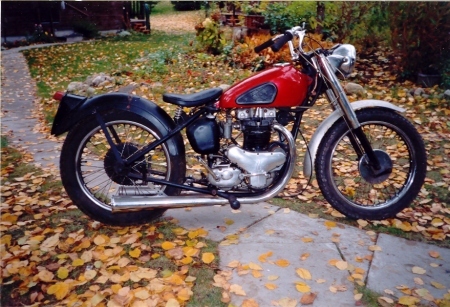 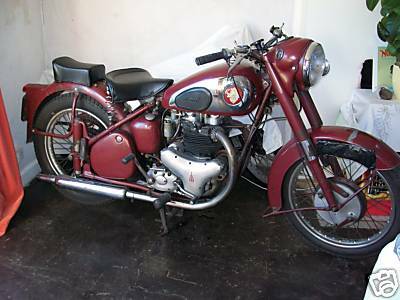 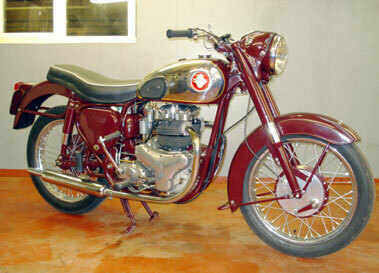 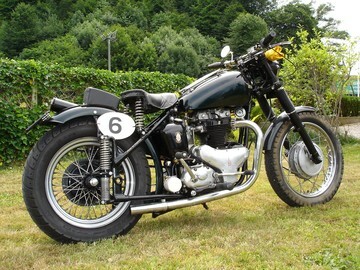 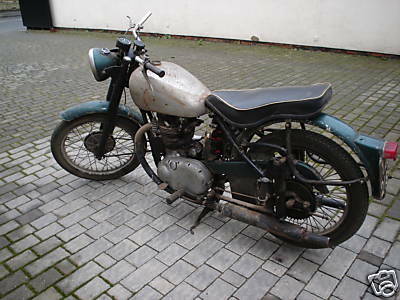 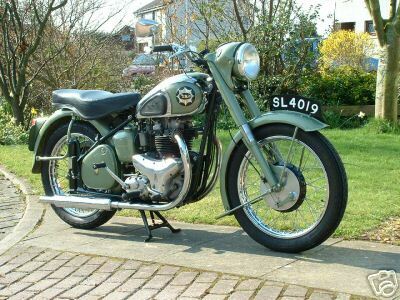 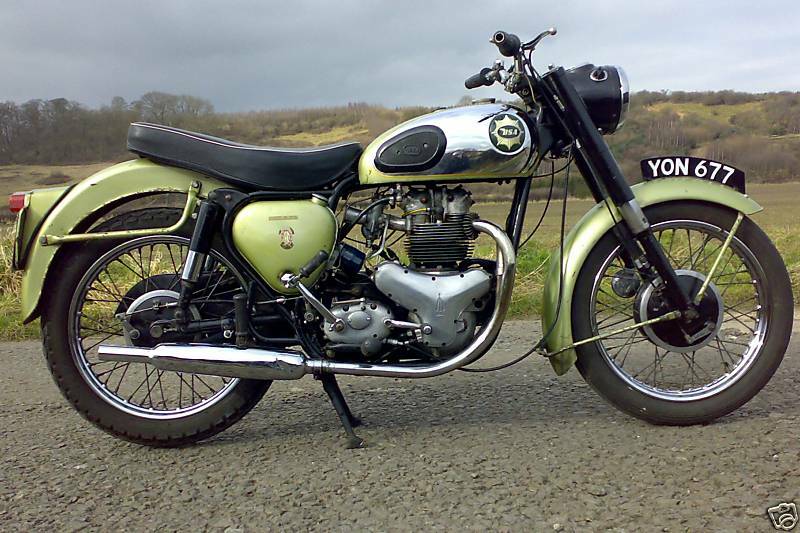 BSA A7 Star Twin, Shooting Star 1946-61, 497cc, ohv twin, 420lb, 55mpg, 90mph. 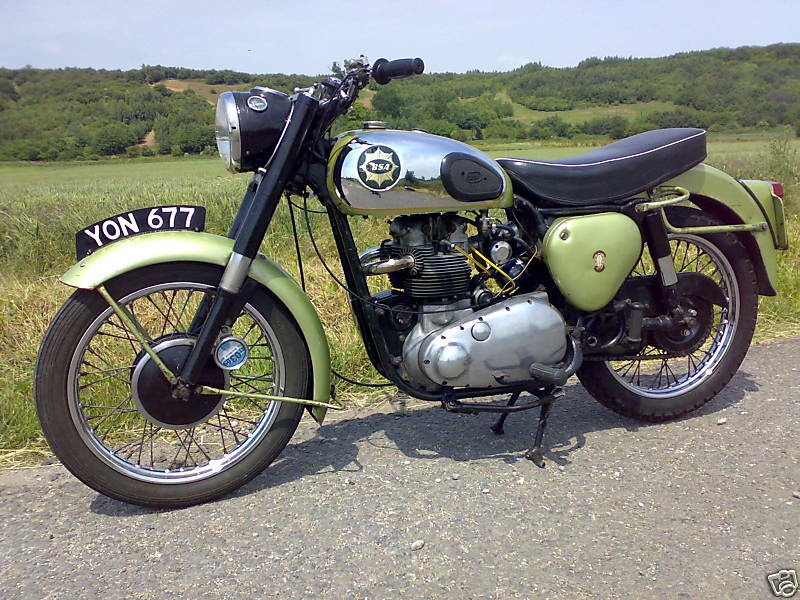 Splendid tough twin with smooth power up to 75mph. 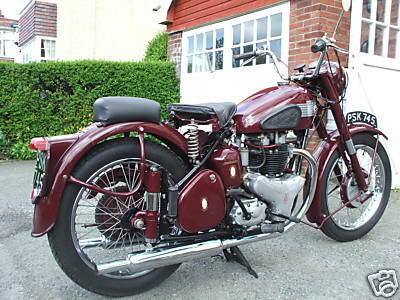 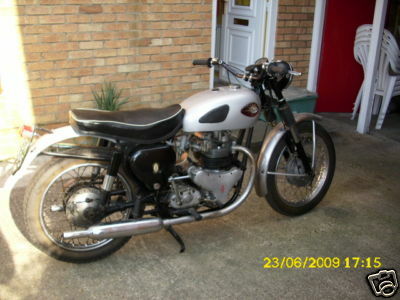 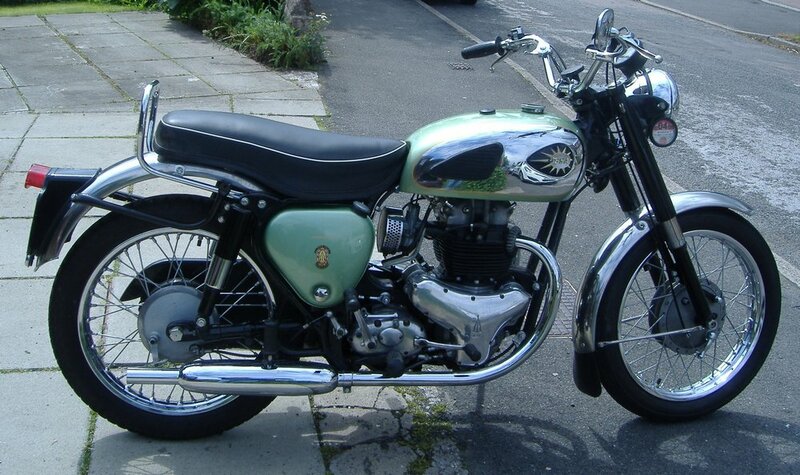 From 1954 with duplex frame, swinging arm, and better brakes gave good steering which was let down by poor lights. 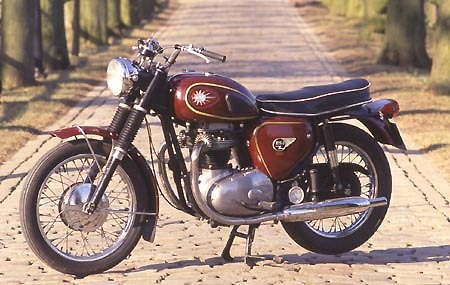 The A7SS Shooting Star is the tuned version sporty (A7SS), which had an alloy head, improved suspension and full width hubs.